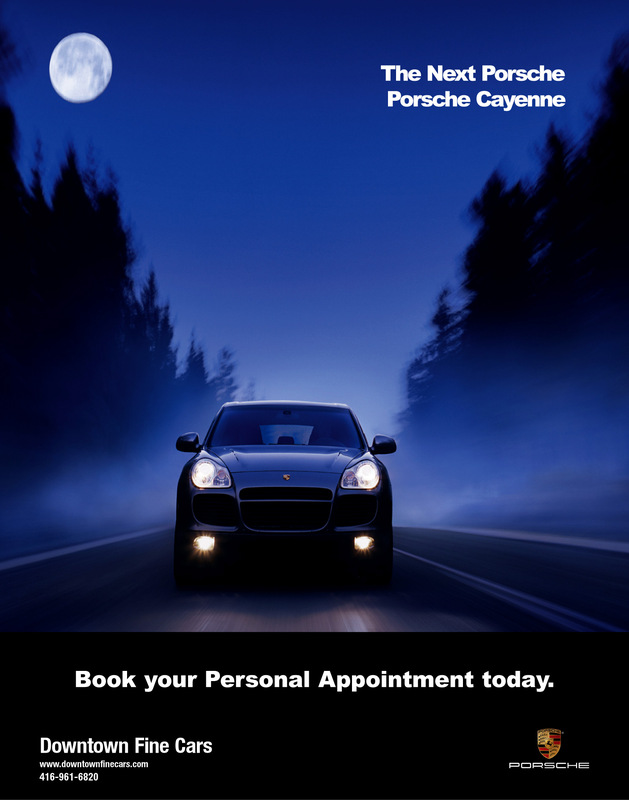 Print ad for the Porsche Cayenne. Photographs from the event. The entire event was managed and executed. Outdoor banner erected at the dealership. 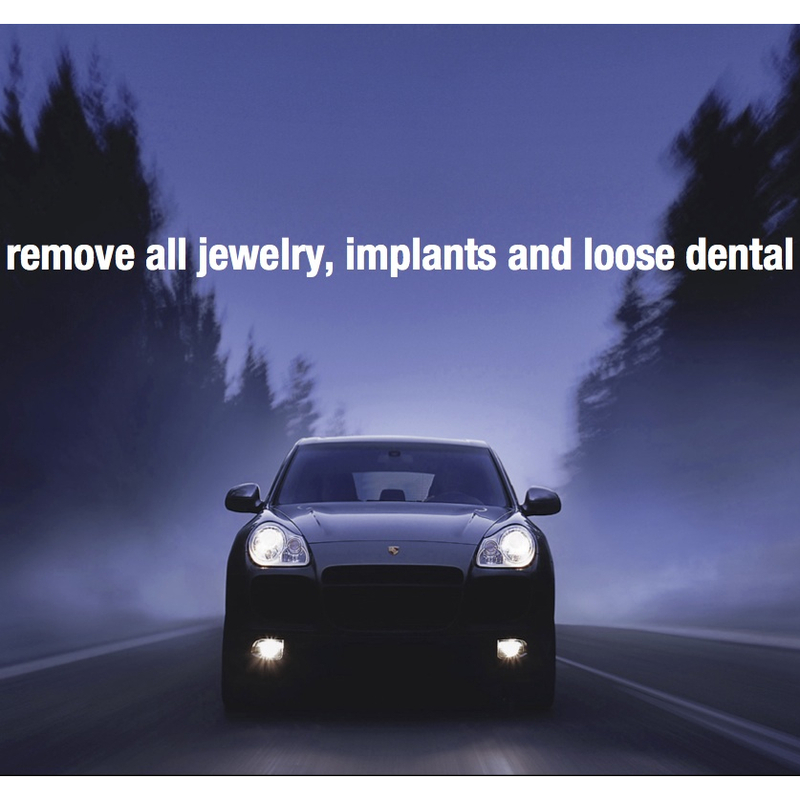 Comprehensive launch campaign for Downtown Fine Cars and the Porsche Cayenne. Orange Bazooka created a comprehensive, fully integrated marketing campaign for the launch of the Porsche Cayenne with Downtown Fine Cars. This included all the advertising, point of sale, direct marketing, video, TV and event marketing around the physical launch in the ground floor lobby at First Canadian Place.